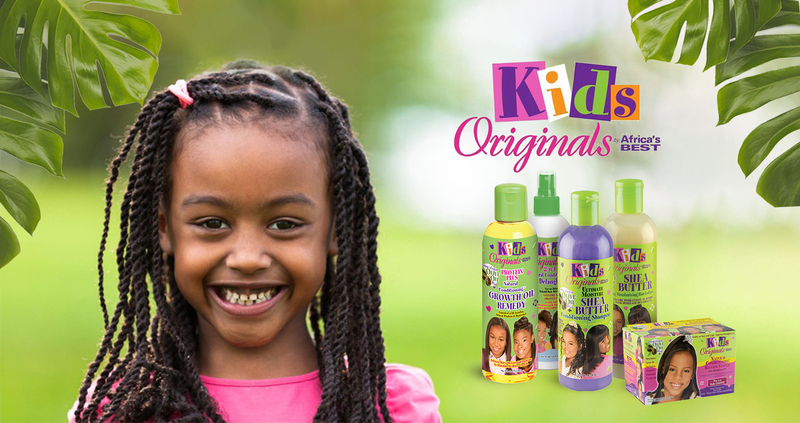 Kids Original by Africa’s Best is a Kids haircare range that sells all types of products suitable for all kid’s hair types. The diversified product range includes shampoos, conditioners, hair lotions, hair gels, relaxers, texturizers and many more. The effective formulation of their products allows them to be gentle and effective at the same time on the delicate kid’s hair. Their mainly natural ingredients are shea butter, carrot oil, soy protein, vitamin E, cholesterol and tee tree oil and virgin olive oil.